Coming off the Winter Television Critics Association Press Tour and the annual National Association of Television Program Executives conference this month, the theme of note was exactly what I expected: the rise of OTT. More specifically, a changing broadcast model, digital extensions of existing business models, declining cable subscribers and expanding streaming platforms, all of which many predict will at some point mark the end of the linear broadcast model. With Super Bowl LII, the Philadelphia Eagles versus the New England Patriots, coming this weekend on NBC, where over 100-million viewers are likely to gather (mainly in front of the good ol’ television set), let me make a bold prediction. I don’t think broadcast television is about to fade into darkness anytime soon. Predictions of its demise are simply premature. As I have said in the past, and I will continue to preach in the future, I believe this burgeoning world of digital (where these seemingly empty pockets for programming at outlets like Netflix, Amazon and Hulu have to get full at some point) is an extension, not a replacement. I think it broadens the spectrum, offering more revenue opportunities for broadcasters and more choices for viewers. While the added competition certainly makes life more difficult for any series, on any platform, to find an audience, there is always the chance of still striking a chord with the audience if the subject matter is of interest. On the broadcast networks, for example, ABC did it this year with new medical drama "The Good Doctor," which was an immediate hit. NBC found gold in those rating hills care of "This Is Us" last season. And props, so far, go to two recent network entries in midseason: procedural drama "9-1-1," from Ryan Murphy, on Fox; and NBC game show "Ellen’s Game of Games," hosted and created by Ellen DeGeneres. While some of you, no doubt, are shaking their heads in disbelief that I would even still defend the attributes of the traditional linear broadcast model, let me use the upcoming Super Bowl as the perfect example of why a broadcast network is still of tremendous value. I realize, of course, that not every Sunday will be home to an event of this magnitude. 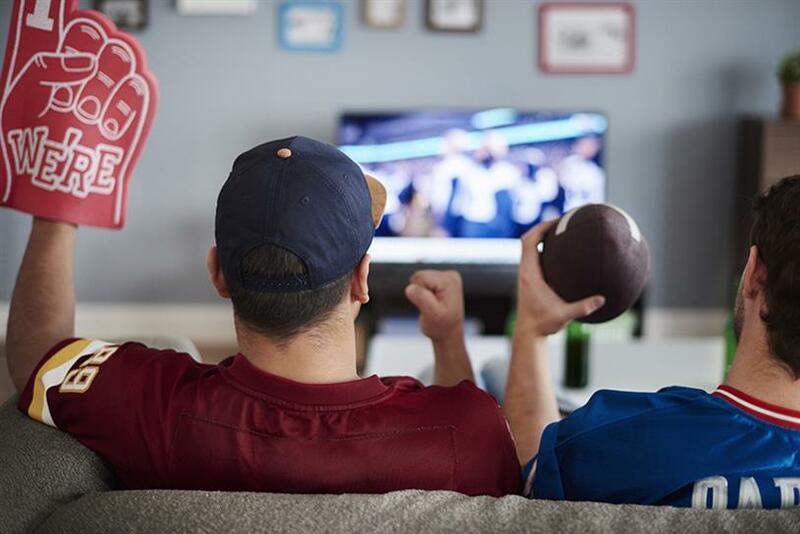 But while the masses keep preaching the value of digital, last year only an estimated 1.7 million viewers per minute on streaming accounted for the mammoth 111.3 million viewers who tuned in on CBS (according to Nielsen). And I don’t imagine all that many viewers, even of the millennial age, will be tuning into the upcoming XXIII Olympic Winter Games (a.k.a. PyeongChang 2018) on a mobile device. The experience is simply not as gratifying. As advantageous as it can be living in this busy world of consuming content "when you want it and how you want it," let’s be honest…it is still also worthwhile doing it the old-fashioned way: on television. Broadcast television still has the ability to foster hit shows (even if there are more restrictions). Syndication in daytime remains a haven for live television consumption (in the target older female demographics). And there is simply no better medium to attract the most number of eyeballs than using the linear model (unless, of course, these digital networks know something we don’t with the data they will not release). If Super Bowl LII was available only digitally, do you really think over 100-million viewers would be tuning in? I don’t think so. "We are going to continue to produce content at a very high level on any and every platform that we possibly can," noted Entertainment Studios’ Andrew Temple, whom I spoke to prior to NATPE about the changing broadcast landscape. "That should be the universal goal for everyone in this business." Entertainment Studios is an independent television and film studio founded by comedian Byron Allen in 1993. "Right now it is a strange environment indeed," he said. "You’ve got streaming services and OTT platforms that are taking our lunch money. If you look at Amazon and Hulu and Netflix, and the internet has taken out book stores, magazines and newspapers, and broadcast television is in their crosshairs. But I do believe there will be a renaissance in broadcasting for those that are courageous enough to demand it." With that in mind, let me make another prediction. I think this year’s Super Bowl will top the record 114.4 million viewers who tuned-in in to see the New England Patriots beat the Seattle Seahawks in 2015. And, of course, there is the long-awaited resolution of how Milo Ventimiglia as beloved Jack Pearson died on NBC’s "This Is Us" in its special post-Super Bowl telecast of the sophomore family drama. Admit it…you will be watching. While the focus at present remains in the growing world of OTT, let’s never forget the roots of this medium, linear television, and why it will remain a hub for content…and the most eyeballs.